Is the Gulf Crisis bringing Iraq back into Arab World? 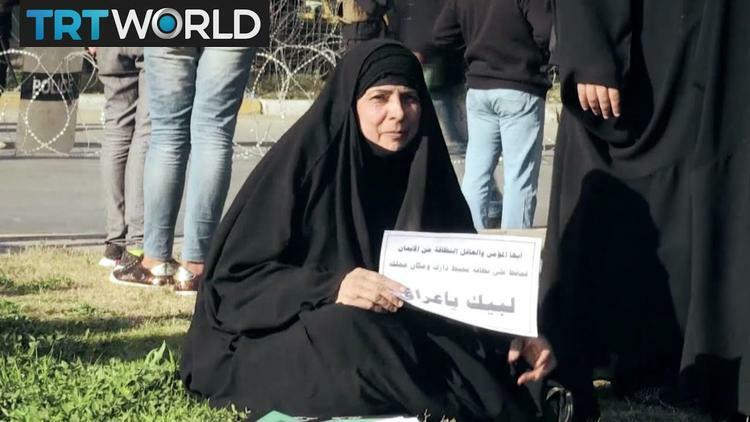 Countries like Saudi Arabia are showing new willingness to open diplomatic channels with Iraq. Motivations include a military they now respect, opportunities for reconstruction and countering Iranian influence. Iraqi diplomats have had a busy month. There have been dozens of officials from Arab countries arriving in Baghdad and reciprocal visits have also been made by Iraqi delegations. After years out in the relative cold, it seemed as though Iraq was finally re-entering the Arab political community. Over the past month, the foreign ministers of Bahrain, Jordan, Algeria and Egypt have been to Baghdad and there have also been military delegations from Saudi Arabia, Lebanon and Jordan. Every one of these paid public tribute to Iraq’s ongoing success in the fight against the extremist group known as the Islamic State. Important Iraqis also went abroad. 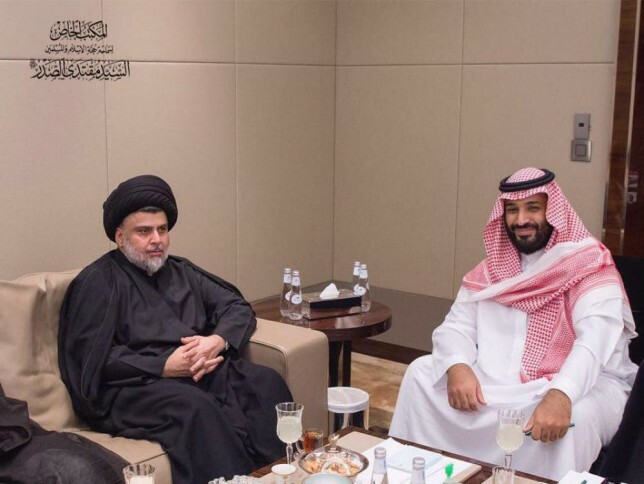 Most noteworthy perhaps was the fact that Iraqi cleric, Muqtada al-Sadr, who leads a political and popular movement, visited Saudi Arabia and other emirates. Meanwhile Iraq’s Minister of the Interior, Qassim al-Araji, was also on the road, paying his respects in Iran and Saudi Arabia. Over the past few years Iraq has been criticized for a failure to open up to the Arab world. It was difficult for the country’s politicians and diplomats to do much, as they tended to be caught between two rival nations with major stakes in Iraq: the US and Iran. However, it is almost as if the recent victories against the extremist Islamic State, or IS, group, have made a difference to how Iraq is perceived: The country has achieved something important. Despite the high costs, the fight against the IS group has given Iraq something special, al-Bayati notes: An experienced and professional military and police force. “This gives Iraq more influence and makes other countries want Iraq as an ally,” al-Bayati suggests. Iraq currently sits seventh on a list of 15 Middle Eastern military powers on a ranking compiled by the Global Firepower Index, which assesses 106 nations based on factors like military budget, equipment and manpower. It is also possible that the reconstruction required in Iraq now has made it more popular. Billions of dollars’ worth of work will need to be done in the country after the security crisis caused by the IS group and that is also an incentive for Iraq’s neighbours to become friendlier. One of the most controversial contacts, which also made international headlines, was the aforementioned visit that cleric Muqtada al-Sadr paid to Saudi Arabia. It was the first time in over a decade that al-Sadr had gone there and it came despite the Shiite Muslim cleric’s past criticisms of Saudi Arabia for its behaviour towards its own Shiite Muslims and for its actions in Yemen. Currently al-Sadr is sitting on one side of a widening political divide in Shiite politics in Iraq. His side is determinedly nationalistic, saying that Iraq should make decisions for itself and criticizing Iranian interference. The other side of the Shiite political divide has closer ties to Iran. The two groups continue to complain about one another, both directly and indirectly, and in this instance, his critics said that al-Sadr was cosying up to the kind of religious practice that had inspired the IS group in the first place: Saudi Arabia is a mostly Sunni Muslim country and the home to a stricter form of religious practice. The IS group base their beliefs on an even more extreme version of the latter. However al-Sadr responded to that by saying he had gone with the blessing of the Iraqi prime minister, Haider al-Abadi, and that it was all about Iraq’s growing openness towards its neighbours. He denied any hostile intention toward Iran and said Iraq should remain neutral in the region. Western analysts have suggested that a new rapprochement with Saudi Arabia provide a counter balance to Iranian influence in Iraq. The majority of the country’s Sunni Muslim parties, as well as the Kurdish ones, thought al-Sadr’s visit was a good idea and liked the idea of a new diplomatic beginning. These countries have finally come to the conclusion that the way they have been treating Iraq since 2003 has driven the country toward Iran, Ahmad told NIQASH. “Now they’re trying to correct that, to open up towards Iraq, in order to compete with Iran. But who knows if they will succeed or not,” he noted.